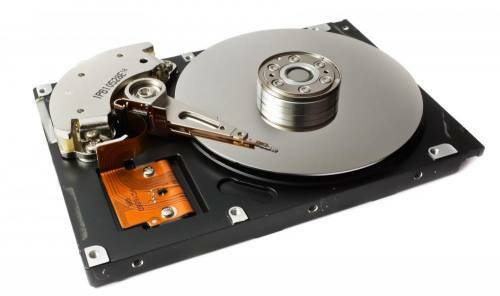 Hard drives are combination of a circuit board and numerous movable parts and therefore they are quite complex. In case of recovery of hard drive data, one must be sure if the problem is hard drive itself that hinders your access your data. Problems regarding faulty circuit boards or the actuator arm are the most common problems that can occur. When platters do not move beneath the copper wire, that means the drive fails to ‘spin up’ and it is usually due to defective circuit board. Abnormal clicking or a grinding noises signifies serious mechanical issues and a defective actuator arm. In order to determine whether it is a mechanical drive problem, it is recommended that you listen to the sound of hard drive. Bad sounds equals a high chance of failure. The hard drive data recovery might turn out to be a costly service as the technician may have to disassemble the drive to fix it. A clean room is usually required to perform the task because hard drives are sealed to make them dust proof. Moreover, it takes special equipment to distinguish the platters on a physically damaged drive, as the hard drives are finely tuned machinery. Make sure, when you are sending your hard drive to a data recovery service, that what estimated amount they will charge you. Since you have only one shot to recover a hard drive, make sure you know who you’re dealing with! It is almost impossible for a layman to understand the manner in which data from a damaged hard disk drive can be recovered. Some damage incurred by a hard drive overheating appears so harsh that recovering such data seems a mystery. The technical bit behind damaged hard drive recovery is data remnants. There are several reasons for hard drive crash or failures. The most common reasons are usually physical hard drive issues. A hard drive is a magnetic disc, which spins, and when its motor overheats or stops spinning, then your hard drive will crash. Some viruses such as Trojans or Spyware can also cause a hard drive crash. In order to check whether your hard drive is working or not, check the blinking light in front of your PC. In the case the light is not blinking, it indicates that your hard drive may have mechanical problems. Moreover, if the light is blinking but your computer is not booting up, then you must have some software issues that can be easily solved by reinstalling the operating system. If your hard drive is damaged physically, such as failed motor or circuits, then a user cannot repair it. For physical damage, you have to consult technical expert in order to get help to recover hard drives. Physical damage can only be repaired by using latest tools and experts. Accidental file deletion happens to a lot of people. To recover the deleted files, it is recommended to use laptop data recovery software. Pay attention to its instructions and simply follow all steps to maximize chances of successful recovery of data. When a file is deleted, it cannot be accessed in My Computer. However, the file is still stored on the hard disk but is invisible. The earlier you retrieve a file, the chances of recovery is high. Nonetheless, think of the possible files that might be overwritten. Having several disk partitions help lessen unsuccessful data recovery. If you only have one C: partition, chances of recovery is low, especially when new data has been saved. All deleted files and photos can be retrieved in several ways. Some companies offer laptop data recovery diagnosis free of charge. When you encounter data loss, you can immediately contact a customer representative from the service provider. He can give you instructions via phone. If your laptop is not working, you may also send your hard drive to the company. A representative will immediately call you once the drive is received. Some companies have specific technicians for laptop data recovery. Your hard disk will be brought to the laboratory and examined. Data will then be transferred to an external hard drive. Everyone hates having a broken laptop especially when an important project is due. Students, office workers, managers, and even ordinary people often experience the fall of a laptop even before its expected life span. Once your laptop is broken, you will be left with nothing. Your time stops and you get tired thinking of ways to recover your precious files.